Raw anger unnerves me; especially when it’s so seemingly random and unexpected. 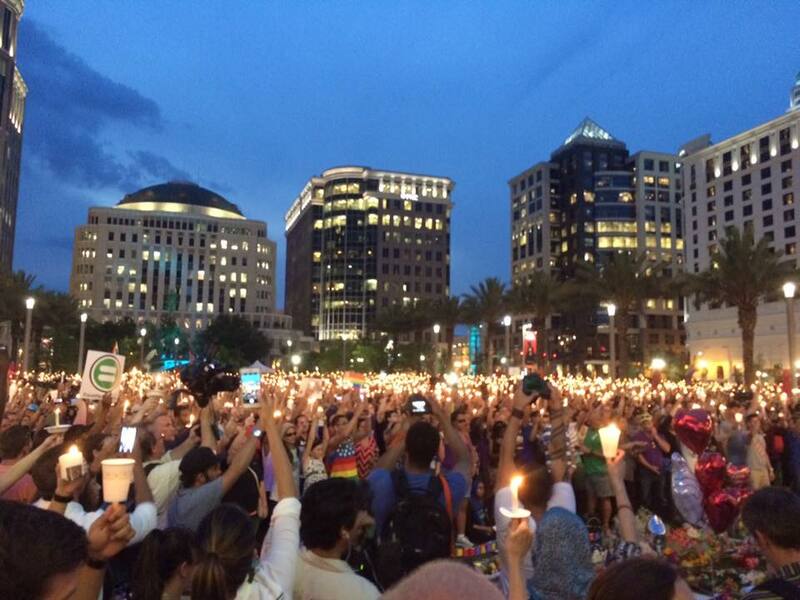 Add to that that we are all too well aware of tragedies at a church in Charleston, South Carolina; a movie theater in Aurora, Colorado; a college just up the road in Roseburg, Oregon; an army base in Fort Hood, Texas; a workplace shooting in San Bernardino, California; and now 100 victims in Orlando, Florida. I confess that I considered, “Could the next one be a coffee house in Eureka, California?” My anxiety level of late — although not at boil — is certainly at a higher level of simmer. I know I’m not alone wondering, “Could it happen here?” Without warning, or predictive action; another random act of senseless, extreme, bloodletting in a society that is seemingly wobbling on its axis. My heart hurts. My soul is sad. If you’ve followed my writing for the last dozen years, I hope I’ve portrayed myself as an optimistic person. In my heart, I truly am. I ascribe passionately to my mother’s mantra: “The greatest good is happening at all times.” I have taught my children, and espouse evangelically: “Compassion first.” Those are my core values. I’m not egocentric enough to believe I have the definitive solution. But I do know that becoming tribes of “us” and “them” and forgetting the “we” is exacerbating the problem. Does it make a difference if here in my small corner of the globe; I slow down my judgments long enough to strive to look for the best in others, assuming their intentions are as positive as mine? Will it help “big picture” if we each seek out ways in which we are similar, and be less scornful of our differences? Can our individual behaviors and thoughts influence a collective transformation over time? Yes they can. Yes they will. Either way, they certainly can’t hurt.